A Spiritual Message from a Cactus; Nourish it or…? A few days ago I was ready to let go of the last remains of a cactus I (barely) kept alive for over 25 years. Truth be told it’s been sitting dead on my windowsill for some time but I couldn’t bring myself to get rid of it. That cactus was the first thing I bought when I moved out of my parents house. Perhaps it represented a right of passage or perhaps it represented life itself. Whatever it represented at any given time my heart is saddened by the realization that I killed what was once a living, breathing thing. I remember when I bought it and if memory serves it was only about 12 inches high. I cared for it faithfully. It outgrew its pot, was replanted and grew some more. I was quite proud of how it was flourishing with new “arms” sprouting all the time. What started out one taller spine with one little arm was over 5 feet tall with dozens of arms! It was a beautiful shade of green with little leaves constantly sprouting from the end of the arms and main spine. Although it started to fall over to one side and I could no longer move it, I would turn the pot so it would rest against the wall. I felt and communicated with the spirit in that cactus and knew that as long as I gave it nourishment it would stay happy, healthy and growing. One day I had a cleaning person come to my apartment and when I returned home from work, there was my cactus tipped over on the floor. The main spine had split and a few of the arms were dangling from the place where they were once firmly attached. They oozed white liquid and I clearly remember crying hysterically about my broken and obviously bleeding cactus. Sadly I could not save the main spine but I did replant one of the small arms. It took root quickly and season after season it sat on my windowsill and grew although not as full or tall as its mother. For whatever reason, I stopped watering my cactus as often as necessary even though it would tell me what it needed by turning slightly brown. I would look at it and be too tired or too busy to simply get a glass of water to water it. I’d tell myself ‘I’ll water it tomorrow’ and maybe I would get to it, but soon my tomorrows became more frequent. A cactus has an amazing resilience. If it doesn’t have water it lays dormant using little energy to live but after so many tomorrows (about 3 years worth) my cactus was brown and shriveled. I wept as I moved it from the windowsill to the front door so I could get rid of it. Yes it was dead and it was finally time to let it go. The day after I moved the cactus I put it back into its corner home to take a picture for this post and I noticed green at the tips of the spine and arms. Wait, maybe it’s not dead after all! Is it possible to bring it back to life after years of neglect? Could a bit of water, and love and light make a difference? I don’t know if my cactus will fully spring to life again but I can tell you that for now it is watered and the small green tips are getting greener and expanding. Like the cactus our spirits are very much alive inside. We are more resilient than perhaps we give ourselves credit for. At times we may feel ‘dormant’ but once we begin nourishing our spirits with love, excitement, passion and light we have the ability to come back to life. If you’ve had a stressful time or painful experience it is natural to want to push it aside, isolate or dull the pain so you can’t feel it but a sprinkling of forgiveness and love goes a long way! Your spirit may be calling out for water now. Find the nourishment it needs! Your spirit wants to shine brightly and light your way. As long as your heart is beating and you have breath in your body there is always hope. It’s never too late to nourish your spirit and find the spark within. If you are always too busy or too tired or stressed to nourish your spirit and you want to wait until tomorrow that’s fine but how many tomorrows will it take before you wake up to find years have passed? There’s no tomorrow better than today to start nourishing your spirit. Previous Post What is Self-Love? Dang girl…this is wonderful! May I repost it? I want others to see how brilliant and fantastic you are! It really spoke to me…reall! Thank you so much! Of course Shelia! Thank you! What is the name of this type of cactus? I have found several pictures/images of it but can’t find a name. Please send it as soon as possible. Thank you. It is not a cactus. 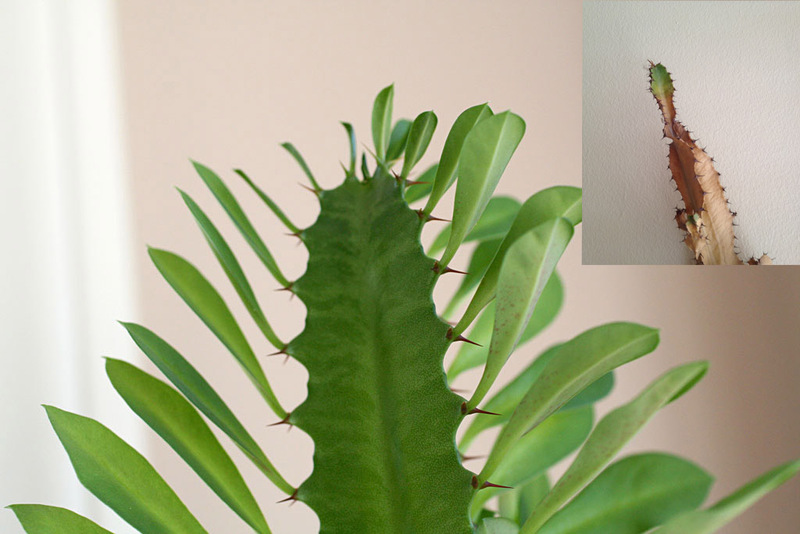 It is a Euphorbia spp. A succulent. It likes similar conditions to a cactus. It likes to be dryish in the winter but then soaked in the ‘rainy season’. That will make it grow the leaves. Wonderful words thanks for share..